Usually, user cannot look the Exchange transaction log files in exchange server. Using this Exchange transaction log analyzer tool all log files stored in Exchange server can be viewed in the screen of the software. You will have to give the input of EDB file containing log files to the software for analyzing. Permanently deleted emails from log files of Exchange Server can be easily recovered using Exchange transaction Log reader software. There is no risk of loss of data integrity. The corrupted log files are necessary to recover as it leads to inaccessibility of Exchange Server. Transaction log data on recover exchange log files can be saved in multiple formats like PDF, EML, MSG and HTML. 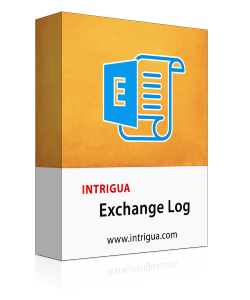 Using the application of these formats, you can analyze and view your Exchange Log file. Exchange log file viewer maintains the folder structure and original formatting of all data items of Exchange Server log file. There is no risk of data loss as it maintains the virtue of data. All the attributes of emails such as from, to, subject, cc, bcc etc will remain intact during analyzing. 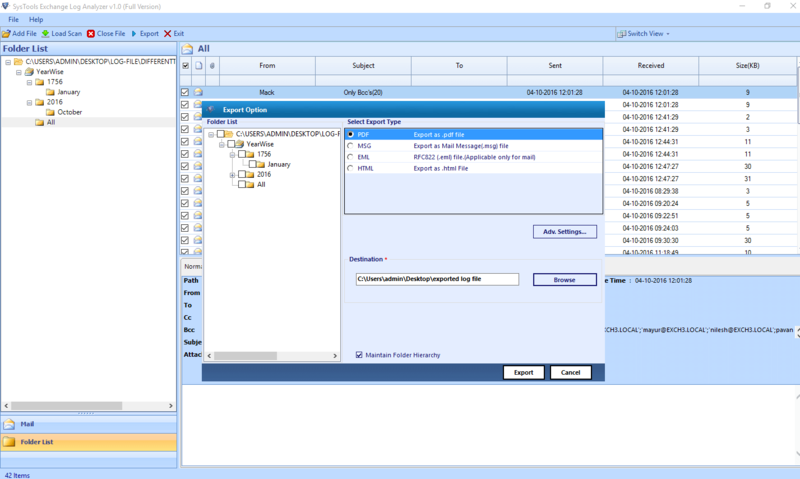 While saving the Exchange Log file to EML and MSG file format, this Exchange log reader tool will give the option to choose from multiple naming conventions. These naming conventions help to easily recognize particular mails. It can be according to subject of emails or date wise and much more. This exchange log analyzer software can be used to view only offline and dismounted EDB containing Transaction Log file of Exchange server. 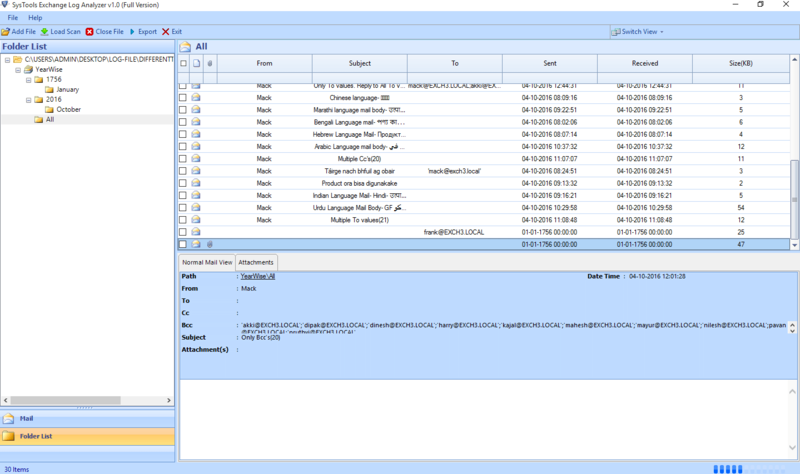 Attachments associated with log files can also be seen using this Exchange Transaction Log Viewer. Transaction Log files is maintained for every Applications database. If in a database mutilple users is making changes to the same data at the same time, the changes to data will be first write to Transaction Log file and then the change will be applicable to the Database. So that data will not be corrupted and entries of data will be made in order the changes are made. Whenever an email is sent, received or deleted, the information about that transaction will be recorded to Transaction Logs and then immediately to the database. The time difference between these two process is in milliseconds. The single purpose for which Exchange server writes the Transaction Logs is Data Recovery. Step 1: Launch Exchange log analyzer tool and add the log files contained EDB file. Step 2: Preview of Exchange server Transaction Log data. Step 4: Export the recovered Exchange server log files. This video explains the working and complete processing of Exchange Log Analyzer to view and recover deleted Exchange Log files. In which format Exchange Log Viewer saves the Log files? 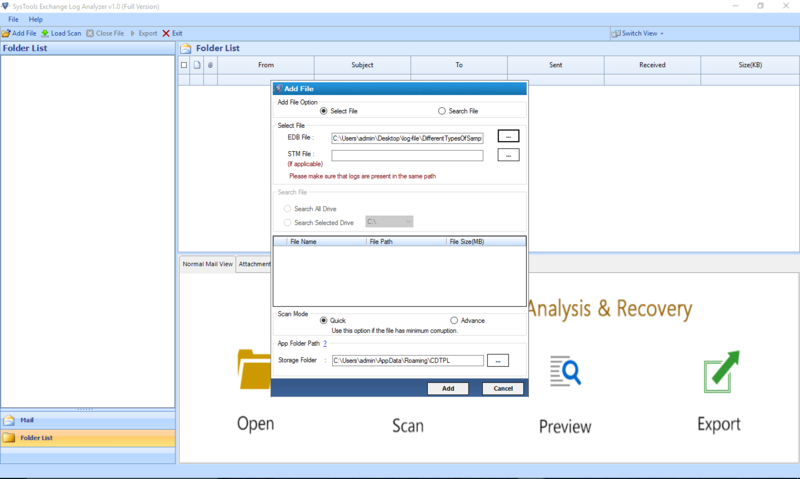 This Exchange log analyzer allows you save the Transaction Log files in 4 formats i.e PDF, EML, MSG and HTML. Can I use this software in Mac OS? No Exchange log reader do not support Mac machine, it is completely Windows based software. I do not have Exchange server install in my machine. Can I use this product without it? This software do not demand to have live Exchange server environment to open the EDB files containing Log data. You can easily use this tool even if you do not have Exchange server configuration in your system. I have deleted some mails from Exchange database. If this software can recover the deleted mails also? Yes, the Exchange Log viewer software also recover the permanently deleted mails from database and repair the corrupted Exchange Log files. Does Exchange log Analyzer supported to Windows 10? Yes this tool is supported by Windows 10, 8 and all below versions. Minimum 65 Mb of free hard disk space is required. My Exchange Server EDB file get corrupted and unable to open. And also the Transaction logs maintained in the Exchange server cannot be viewed. I searched for some software to repair corrupt exchange log file and found Exchange Log Viewer Tool which recovered the deleted data and gives the view of Log files data. 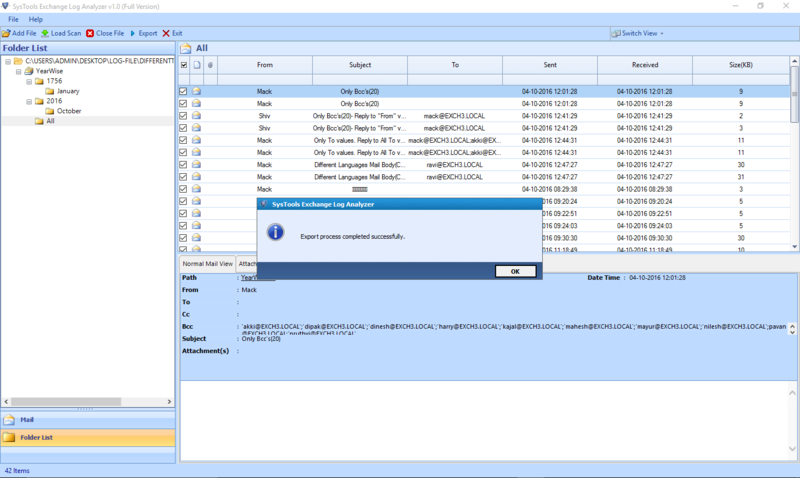 Any issue related to Log files of Exchange Server 2007/2010/2013 can be easily resolved by Exchange Log Viewer. You can easily open the transaction logs of Exchange server by using this software. If it will have any deleted data, Exchange Log Analysis can recover it. Thanks to the team who put their effort in developing such an efficient tool exchange log viewer tool.